Everything is going on the digital platform nowadays to make things even more convenient for the consumers. Rewind a few years back, getting up to the queue in any physical store used to take a lot of time. But now, most of the utility and departmental stores around the streets run their own websites and have taken their business online, adding much to the convenience of the consumers. However, how the website looks and functions, make a big impression on the visitor’s mind. The more professional and easy to use the website is, the better the audience engagement it would have. Don’t know how to start? First up, build a website for yourself. It is extremely easy and does not consume a lot of time if you know how to do it right. Secondly, make the website look more professional and eye-catchy, and provide the users with very detailed pages that can be easily maneuvered. If you are setting up a website for a salon, you would need to provide a lot of information for the visitors, along with the rate chart. 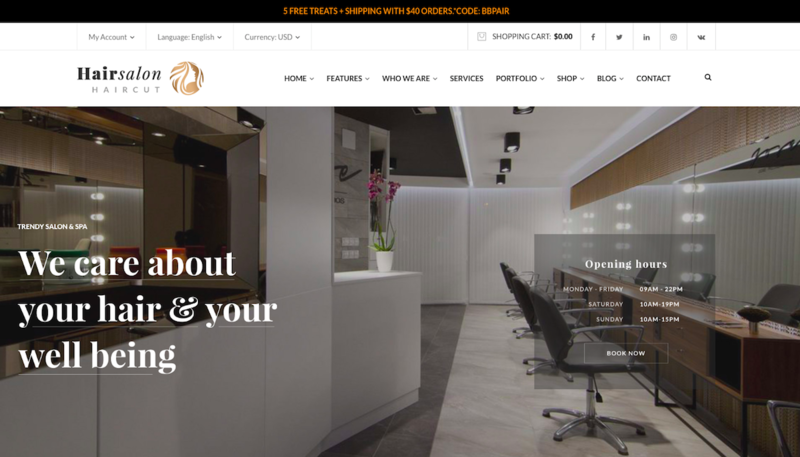 And if you are looking to build a website for your salon business on WordPress, here are 20 handpicked WordPress themes for your hair salon that would make for the perfect companion. Starting off with the basics, there is an apt WordPress theme for every purpose. 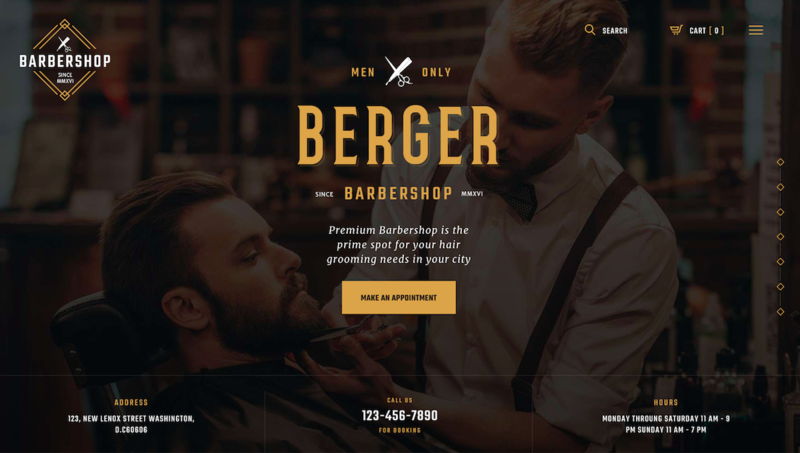 Even if you have a small barber store but want to take it online, you have the Barber theme to make things easier. The Barber theme comes bundled with many features and can manage things like managing the scheduling and bookings that the customers make. It comes at a very nominal price of $49 only. Beauty Hair Salon is like a multi-purpose WordPress theme for well-established barbers’ business. It is a performance optimized and highly responsive option to choose and comes with a wide range of styles for the theme. It has over 30 custom pages along with CSS animation, skin switcher and parallax builder. Apart from taking bookings, the customers can post reviews and testimonial. You can have it for a price of $69. 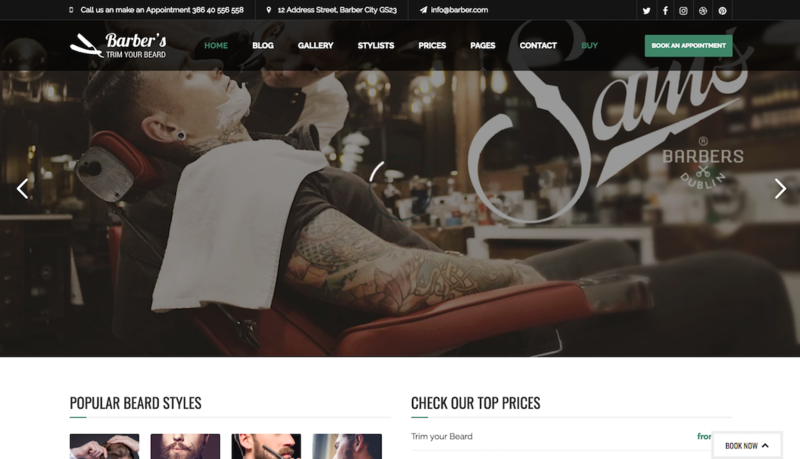 Coiffeur is an extremely popular WordPress theme for barbers and hair stylists. It is highly customizable and can set up the website theme to be extremely professional. The package bundle includes over 20 templates for the website page and six homepage design to choose from. 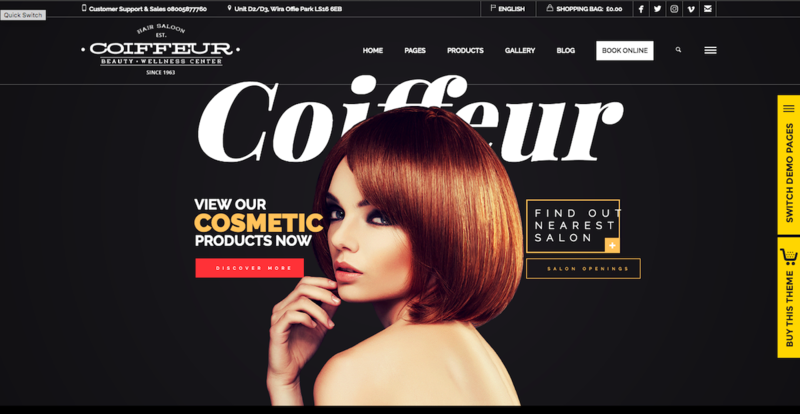 Besides this, you can even use the Coiffeur to start an online shop as there are certain features like promotional landing banners and sliders for products. 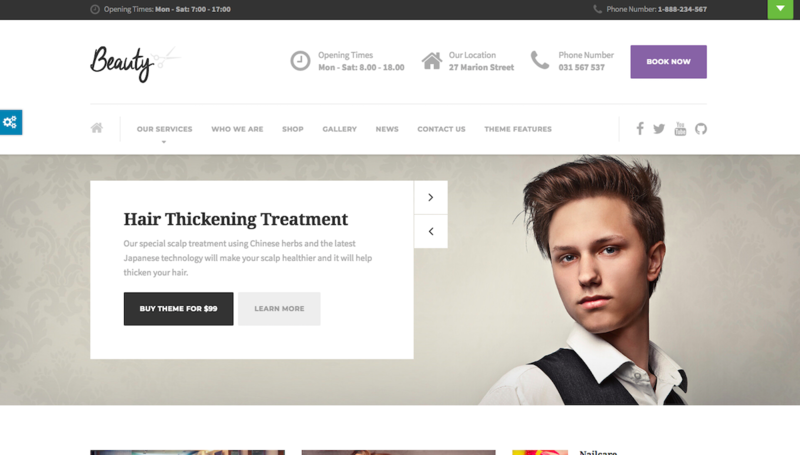 Developed by ThemeMove, the Hair Salon WordPress theme would definitely attract the newbies. There are many useful features offered in this theme via which, you can have Google fonts, mega menu, sticky header, etc. All of these features will help you to customize every little detail on the website. It comes with three layouts of portfolios on which you can present your services to the consumers and users. Berger WordPress theme is an exceptionally responsive theme and can be browsed on PCs, smartphones and tablets. It comes with some of the most amazing features like swipe slider, appointment booking, etc. 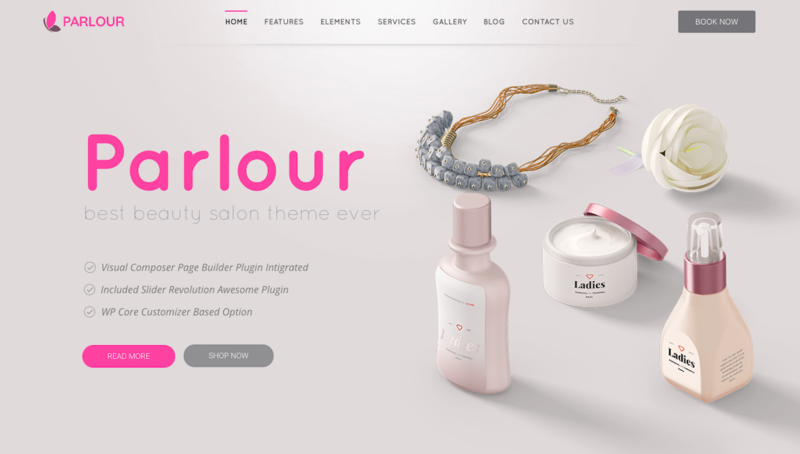 Also, this theme is highly optimized for WooCommerce and will allow you to sell your products (related to grooming) as well, besides just the online presence for your salon. You can download and use it for a price of $59. 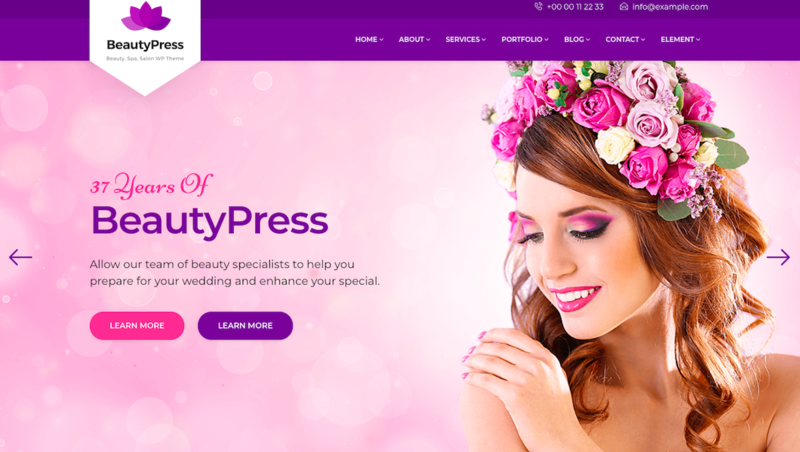 BeautyPress is a high-level WordPress theme that is very much speed optimized and can make your work extremely easy. Setting up won’t take a lot of effort as the Elementor Page Builder comes in handy. You can even use animation for your website and be assured that they will work just fine. And with a host of color options to choose from and over 100 shortcodes to implement, it turns out to be an amazing medium for your salon’s online presence. And guess what, the developer extends its support for a lifetime. Not all websites would be 100% SEO-friendly, but this is not the case with the Magna. Every section of the theme and features is designed to be SEO-friendly and be light at the same time, thereby promoting superfast loading. It supports the super-easy drag and drop feature and is integrated with the Visual Composer. All of the elements help you to create a stunning commercial website even if you don’t have the knowledge of programming. You get unlimited layouts for your page along with a very flexible header and footer section. However, despite being too essential, it costs just $39. Wellness SPA is something more than just a theme for a salon. As the name suggests, it proves to be an essential theme for beauty studios, massage sections, and spas. You can build and customize it with 99 shortcodes to style it the way you want to. Plus, they make things more attractive, the theme supports animations that are responsible to attract and impress a majority of your viewers. 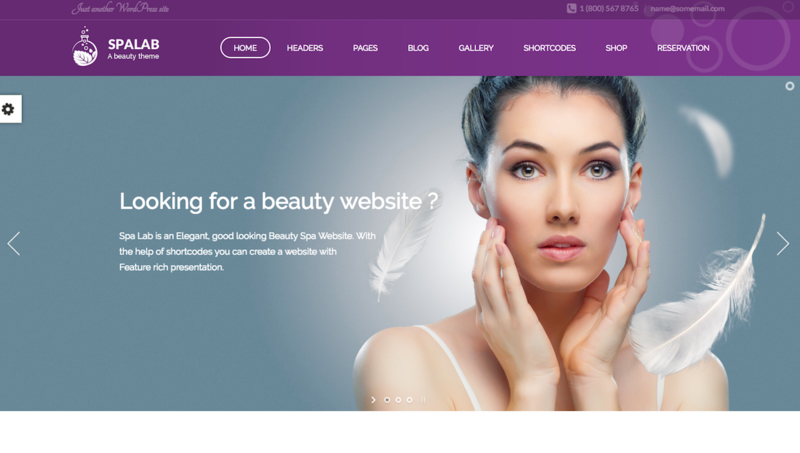 ProteusThemes (the developer) has managed to make Beauty salon WordPress theme to be very responsive and useful. It works on SiteOrigin Page Builder. It is very easy to use for newbies as well as it functions on the drag and drop function. You can use several features like the hairdressers’ profile, timing, and the price chart. However, it is slightly expensive and will cost you $99 for the installation. You will certainly love the way the RoseMary WordPress theme works. It has a very clean layout with minimal visual downsides. However, despite being a simplistic one, this theme is very much modern and allows the users with a lot of features. It is bundled with Revolution Slider that makes things pretty easy and responsive for the user. 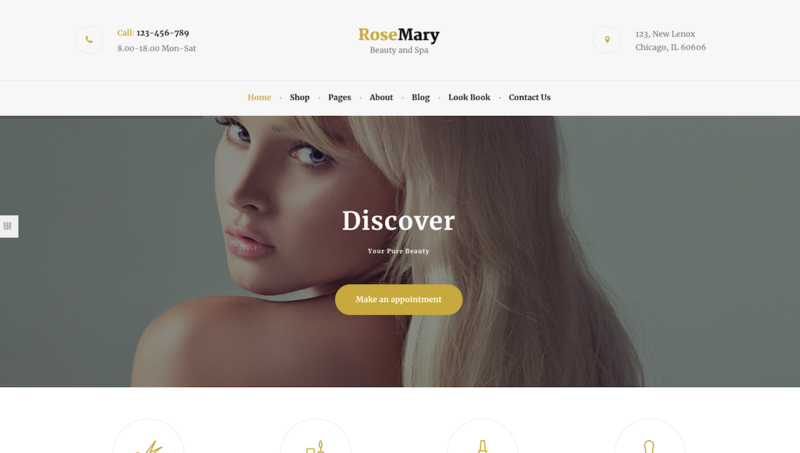 The RoseMary theme is known for the elegance that it portrays for your business. Also, you will get some very useful features like a content manager for media and shortcode builder and is even optimized for WooCommerce. It costs just a meager $59 on the purchase. 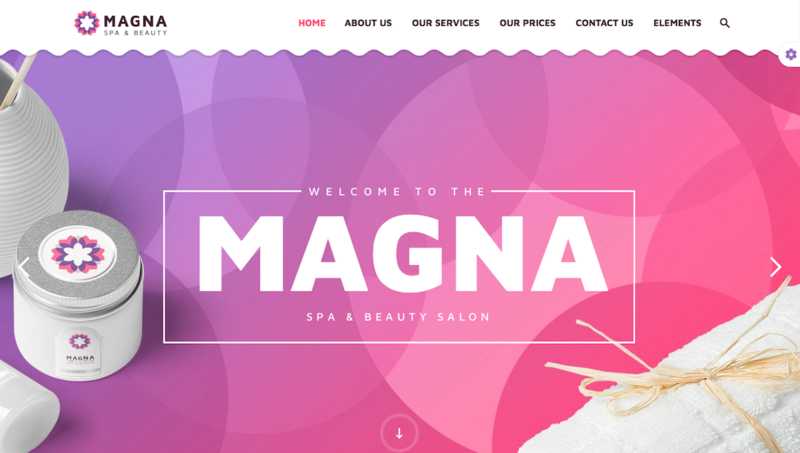 The Spa Lab is a specially designed WordPress theme that can be used by a salon to go online. The most highlighting fact about this theme is that it has some special integrated features added to the package already which includes a catalog page and a reservation form. 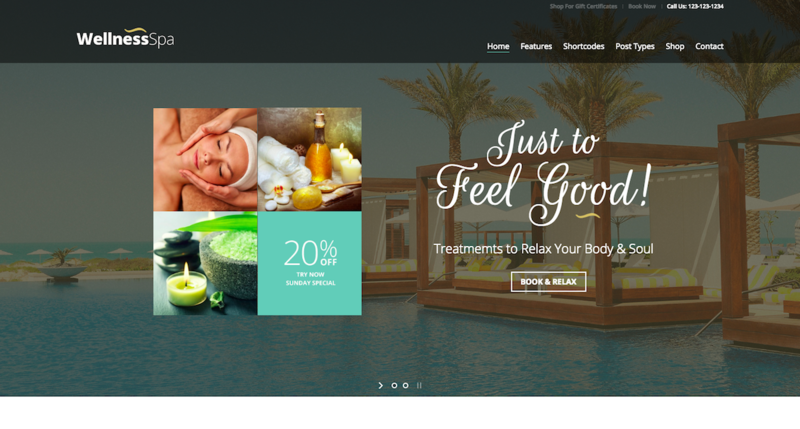 Also, besides just running the online presence of your salon, you can also sell products as the Spa Lab is compatible with WooCommerce plugin. It costs $59 for WordPress. Kendall is a smart and responsive WordPress theme and seems like a more advanced form of most of the other options. You can choose one from the 12 demo homepage style. Plus, the admin panel is pretty powerful and you can customize almost everything visual on the front end. Some other features of the Kendell theme include over 600 Google fonts, shortcodes, portfolio pages, parallax effect, five header styles, etc. It can be purchased at a price of $59. 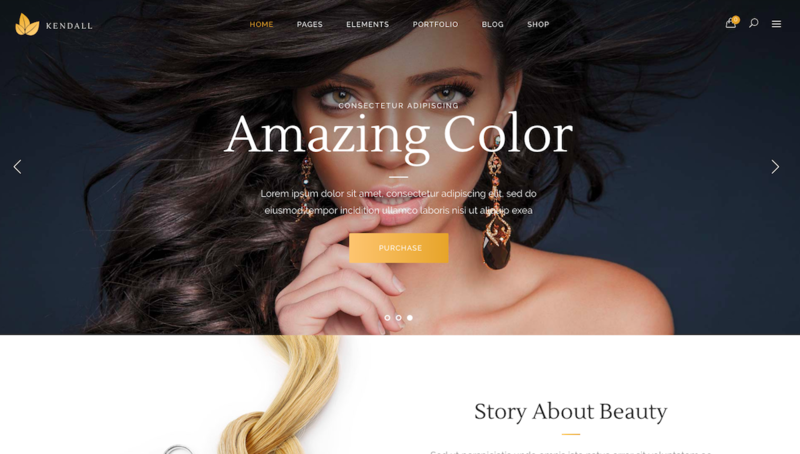 Jacqueline WordPress theme is much than a hair salon theme. It can be used by spas, massage therapists and wellness centers. It has the WPBakery Page Builder bundled together. With the help of this page builder, you can make the website, style the content and customize the front end, even if you have zero experience in coding. You can even place testimonials with the help of this theme. It comes with a price tag of $59. The moment you hear the name, I am sure you can tell that this is the perfect theme for beauty centers besides the hair salons. It is compatible with WPML and is very responsive. It is best known for its simple approach so that beginners can also build an amazing website. 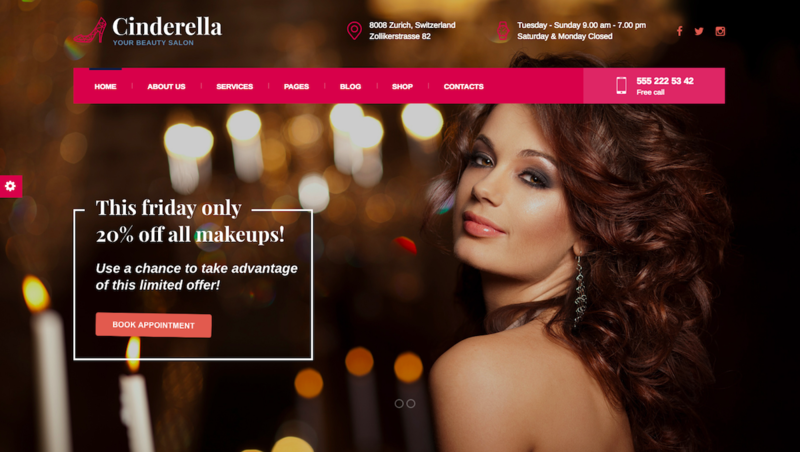 The Cinderella theme has four colors to choose from, two service listing, two header style, an advanced pricing module, and a booking system. Hence, it is needless to say how good it actually is for any hair salon. 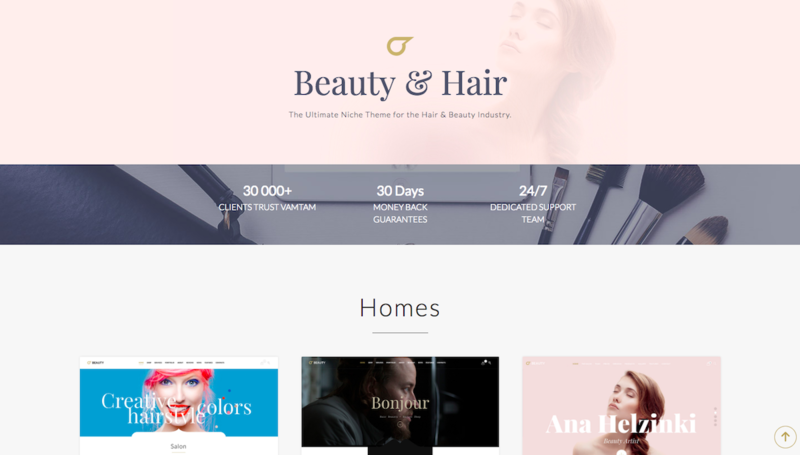 Alissa, just like many other, is a multi-utility WordPress theme for hair salons and stylists. It is also the perfect theme that your website would look amazing in. It is a very good way to start things going on the online arena like reaching out to the customers and getting them booked with the appointment. You can create a service page for each of the service you offer. Also, price lists, offers, and testimonials find a dedicated spot. 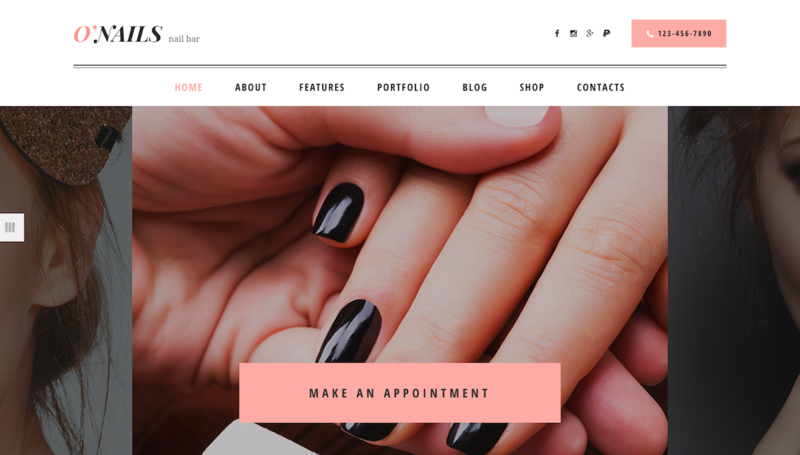 O’Nails is the perfect WordPress theme option for beauty salons that include hair styling too. This theme makes the website extremely responsive and SEO-friendly. You can choose from three homepage layouts that the theme offers. Also, there are certain other add-ons to the package like Slider Revolution and Visual Composer, both of which can help you customize the website further. Also, it is compatible with WPML, which means you can manage multilingual content without a fuss. 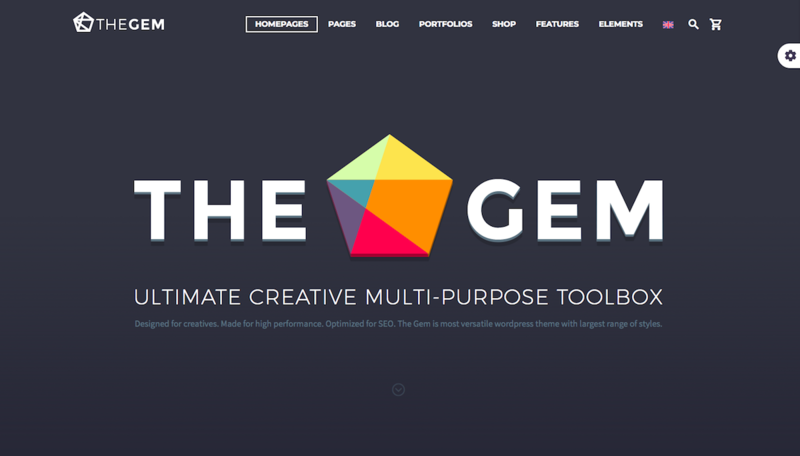 TheGem would certainly rank a lot higher in terms of the usability. It is professionally designed and looks super smooth and absolutely perfect to the eyes. For graphics customization, the theme has a Visual Composer plugin to make things even simpler for you. Besides just hair salons, TheGem is also an apt option for beauty centers and fitness clubs as it has every single aspect required. It is also compliant with the WooCommerce plugin, which means, you can even sell your products online. 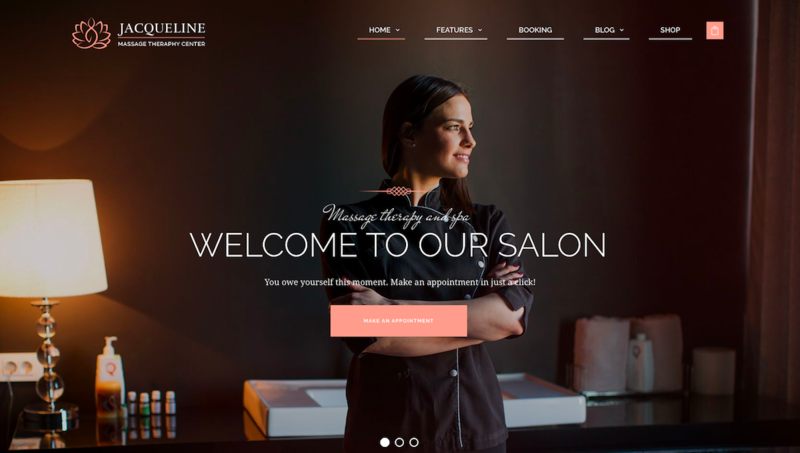 LeadEngine is an exceptional WordPress theme for you to use for your hair salon or beauty and wellness care center. However, it is so perfectly designed for all types of website that you would want to run, such is versatility. It has a lot of premium plugins included in the bundle, some of which are Visual Builder aka WPBakery and Slider Resolution. The front end of the website looks professional and polished even if you don’t have a grip over coding. 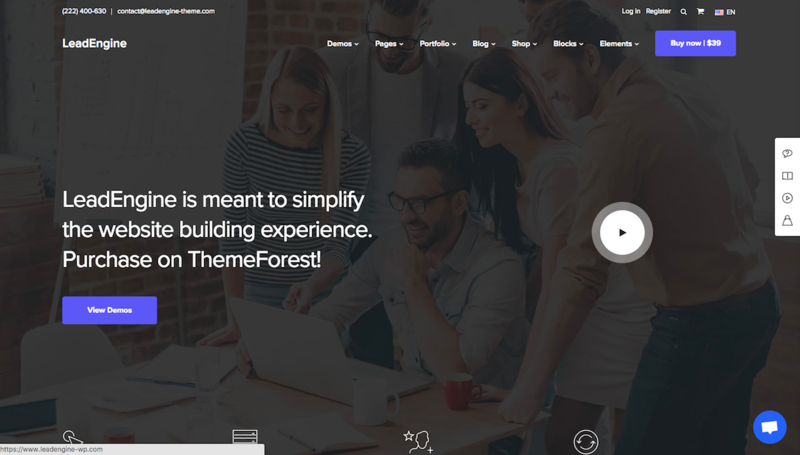 This WordPress theme performs as it sounds. It is a specialized theme that looks apt for salons, beauty professionals and spas. It has a very good booking system and menu style. It can manage a lot of information and can also pass them on to the customers in the form of newsletters as it is very compatible with MailChimp. Plus, apart from this, you can even set up WooCommerce and make your own e-commerce brand, that too, with the compatibility of WPML. And if you are already a big entity and want to make a very dedicated service, you can add on live chat to the theme. 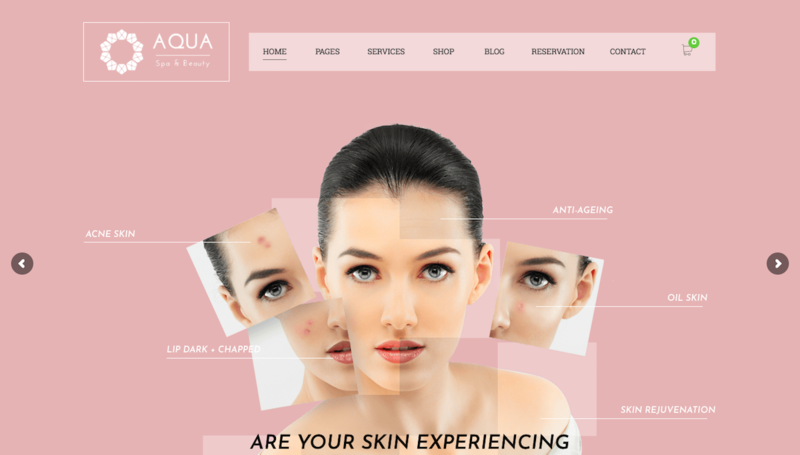 Aqua is an elegant yet simplistic modern-day theme that works best for hair salons and beauty stylists. It is very much responsive and works smoothly on all kinds of devices. The pre-designed skin is very attractive in itself. However, you can still make a lot of customizations to it. It has a very beautifully designed menu section where you can showcase all the products or services you offer. Also, the WooCommerce plugin compatibility makes becoming an online seller of your brand’s products easier. Designing a website on WordPress isn’t the most difficult to do and even newbies can have a good end result. 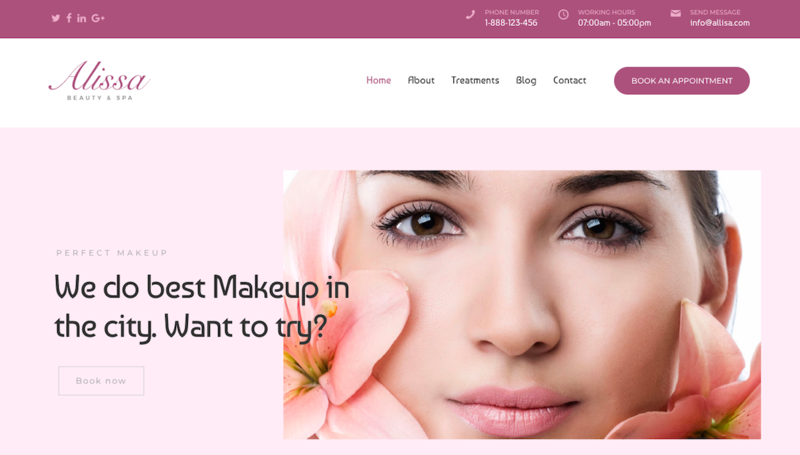 The themes listed above are mostly focused on being the complete appearance for your website as they manage almost everything that you would want in your salon’s online identity.